The House passed its energy bill, the Renewable Energy and Job Creation Act of 2008 (H.R. 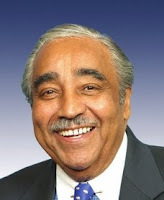 6049), sponsored by House Ways & Means Committee Chairman Charles Rangel, left, on May 21, 2008, but failed cloture votes in the Senate on June 10 and June 17. Senate Majority Leader Harry Reid's energy bill, the Consumer-First Energy Act of 2008 (S. 3044) failed a cloture motion on June 10, 2008. The Senate cannot seem to get any energy legislation passed. The Republicans want to open up oil drilling everywhere and the Democrats want oil companies to explore the tens of millions of acres of leases they already have before opening new areas. The Democrats also want to curb Wall Street energy speculation, which experts blame for contributing to high gasoline prices. 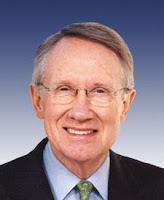 A bill to prevent excessive price speculation with respect to energy commodities, also introduced by Senate Majority Leader Harry Reid, right, on July 15th, the Stop Excessive Energy Speculation Act of 2008 (S 3268), failed cloture motions on July 22 and July 25. A House Democratic proposal to counter oil market speculation failed due to the drilling dispute 276-151. That was nine votes short of the two-thirds needed for approval because the measure had been offered under expedited rules imposed by the Democrats to avoid GOP attempts to attach an offshore drilling provision. The House bill also would have given new authorities to the Commodities Futures Trading Commission to oversee oil markets, increase the agency's staff and set new requirements on certain trading. Market critics have argued that excessive speculation has contributed to the soaring oil prices.